45 years ago, Creedence Clearwater Revival headlined the Saturday night slot at the legendary Woodstock Music Festival. Rolling Stone ranked them at 82nd of the 100 greatest artists of all time and they were inducted into the Rock and Roll Hall of Fame in 1993. If they say all good things must come to an end, they weren’t necessarily right with Creedence. Despite disbanding in 1972 after a tumultuous battle for creative control and democracy in band decisions, founding members Stu Cook (bassist) and Doug “Cosmo” Clifford (drummer) kept the sound alive by forming Creedence Clearwater Revisited (with the convenient same abbreviation CCR) in 1995. Since then, the pair have formed what is so much more than a tribute band, keeping CCR’s sound alive despite age, a rapidly changing music industry and legal disputes with Revival’s singer John Fogerty. 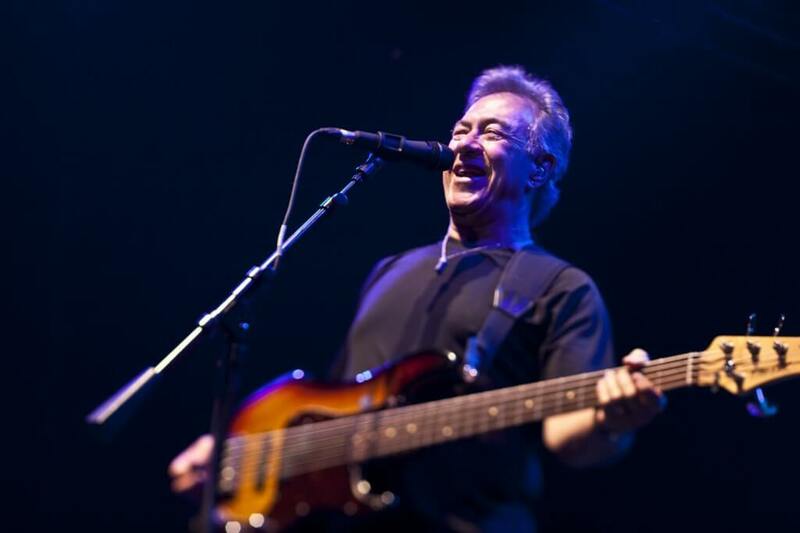 Legendary bassist Stu Cook granted The Reader with a phone interview while on tour. CCR will be visiting Council Bluffs to play the Grassroots Music Festival August 1. The Reader: By now, the songs, the sound, the band—you guys are legendary. That much is shown by how long you’ve lasted. Can you remember the day you realized you’d “made it”? Does it ever surprise you that you’re still “making it” today, so many years and a reenvisioning of the band later? Stu Cook: Yes, and yes. The memory is as clear as it happened yesterday in my mind, hearing “Bad Mood Rising” on a big hit radio station while driving my car on a certain stretch of road. I remember the road, what the weather was like, everything. Hearing it coming out of the speaker in the dashboard of my car in I want to say 1969…You know, it was just incredibly thrillling. This was like our third or fourth single but it didn’t really sink in until then that we actually might have a career. [laughs] You know, with “Suzy Q,” “Proud Mary,” “Green River,” “Bad Moon Rising”…Finally it dawned on me, “this is for real!” It was all a bit of a magic carpet ride. The career took off so fast after nine and a half years of stalling. If you jump forward to now, it’s even more incredible that we’re still playing 20 years into the Revisited project and we have more fans now than ever. We have truly three generations, maybe working on a fourth generation…man, all around the world. We’ve been truly blessed. Reader: What do you think it is that continues to draw in new listeners and makes it so timeless? Cook: Well, I think they’re great recordings. They’re terrific songs and the feel, the emotion, the magic of the music is still in the groove. It’s getting harder and harder to deny that the recordings are part of the fabric of our recent musical history. I’m sort of on the inside so it’s difficult for me to say. I still look at it with amazement. Reader: Do you have a favorite song to play? Cook: I like playing “Down on the Corner.” I like playing ’em all, you know? There’s nothing wrong with any of them, they’re all fun to play. We groove ’em great and that’s what we try to do every night. Reader: What would you say that Revisited brings to the sound that Revival either couldn’t or didn’t? Cook: Well, we bring a more complete musical picture because we have a fifth player, Steve Gunner who’s our utility player. He plays keyboard, acoustic guitar, percussion, harmonica and a lot of the stuff that wasn’t in concert with the original quartet but was on the record in overdubs or sweetening to fill out the arrangements. We didn’t carry with us extra people to play those parts in Revival, so that’s one thing. I think that we’re probably more accomplishd musicians by now–hopefully!–than we were. [laughs] We bring a better understanding of the music itself and ourselves as musicians. We have more fun playing, we’re more comfortable now after all these years and especially after the last 20 in this project. You know, we all know how to play well with each other, which is key for having a good band. The songs have stood the test of time, other people have recorded them as well and that’s always a good sign that you have good material. Again, it’s more really about what other people think of it. Reader: Do you see a day where you hang it up and finally call it quits, say “that’s enough of this band” or “that’s enough of touring”? Cook: Well, I don’t see that day but I would have to be foolish to think that it wasn’t out there some time, you know? It’s not quite as hard as an NFL player trying to decide if it’s time to retire. You know, while the love of the game and the desire to play vary, your body’s giving out and there’s younger players competing for your job. In this job, there’s nobody after my job. But…I am getting older and the playing is not so hard; the travel, the lousy food and the difficult hours are getting a little more tedious every year though. Every year we look at it and decide if we’ve got another year in us. Reader: It seems like you guys are willling to keep going for a little while longer, which is good! Cook: Well, yeah! We’re coming to Council Bluffs! Reader: And we are so excited! So, can you tell me your craziest tour story? Or I guess the one that’s censored enough that you can talk about it? Cook: [slowly] No, I really can’t. [laughs] Probably because I can’t remember a crazy tour story. So much of the tour just kind of blends. It doesn’t really have any boundaries; it’s just tour. And then after that, there’s performance and then we’re back on tour again. You know, you can’t remember what you had for dinner two nights ago or even where you were three days ago. It becomes unimportant because it’s just that part of your day. So, as far as good stories, whatever happened during those touring times I’ve probably forgotten out of self-preservation. Reader: Fair enough. So, I wanted to talk to you for a second about music festivals. Obviously you guys were at Woodstock, and music festivals have certainly never gone away since then but they’re definitely getting more and more popular, more mainstream now and I wanted to know your thoughts on that. What do you think that will do to or for the music festival scene? Cook: Well, I think it started out small back in the late 1960s, culiminating with Woodstock in 1969. Festivals have had their ups and downs over the past three decades, but there seems to be some well-established festivals all around the country now, and even the world. (Particularly in Europe.) There’s more and more annual festivals–Coachella, Lollapalooza–and I think they’re sort of more tailored to the audience that they’re trying to attract with the talent they’re trying to book. I don’t think any one festival tries to do it all and I think it’s a good idea. I think music in a lot of ways has become sidelined by other events in our culture and I think music festivals are great because they bring a lot of great people together with a lot of great talent, people that enjoy it without any other distractions. They’re not worried about the rest of the world. They’re there to enjoy the music and just have a great weekend. A big one that I’m aware of that I’ve been to several times over the past ten years is Austin City Limits. You know, it’s just a terrific layout, well organized. The promoters of these events and the sponsors have really figured out how to do it right, so that everybody has a good time, there’s no trouble. There’s enough food, water, shelter, stages, parking, toilets. It’s all geared to good time. They’ve perfected it. They went through some pretty aimless times in the ’80s and ’90s–there were riots, people burned things. There was the wrong element of control and people are kind of reluctant to step up and stop that kind of thing. It has to be ensured by the people putting the event on. I think what we’ve seen over the last 10, 15 years is people really putting their heads together and finding a way to make a good experience, a good value. I’m all for it. Reader: So, Creedence is known in a lot of ways more for its singles than its completed albums. Cook: Though, ironically, we’ve never had a number one single! We’ve had number one albums though. Go figure. Reader: Yeah! I think I read that you guys have the record for most number two singles that never made it to number one. You’ve talked in other interviews about the music industry’s shift to the single instead of the polished album. Is that a model you guys actively set out to use? Cook: Well, you know it all starts with a song, one song that gets a hit. The hardest thing to do is follow your own act to get another hit. You’re known as a one-hit artist, or even a two-hit or three-hit artist. But by then you should have had at least one or two, maybe all of those songs on an album and you should be selling albums. See, originally singles were pretty much the song format. It’s a recording. A song is just a song–words and a melody written down on paper. When it’s turned into a recording–in this case by a band, four guys–then it becomes a single. That single was the original format. Then albums became the format, because FM radio came into existence and evolved and that was an album format, based more around the artist than the song, per say. It was more of a career look. Now, it’s gone back the other way with a-la-carte downloads, really to the singles model again, in fact. Album sales have been hurt dramatically because people can cherry pick which songs they want to buy. So you can buy four songs you want for less than four dollars instead of buying a $10.99 album. So it’s really hurt the industry’s financial model, their business model. So right now they’re trying to rethink that, because it’s going to stay that way unless you’re an established artist or a legacy artist, which is an older established artist like Creedence. You don’t sell as many albums unless you’re big–like Taylor Swift. There are are much fewer platinum albums than there used to be. Reader: It’s a much bigger deal now. Cook: Yeah, and even gold albums–half a million sales–are much harder to attain because the whole industry has shifted. It’s more of a live performance industry and it seems like most of the money has shifted into live performance now. But, to sell a ticket you have to have sold an album. People don’t just go buy a ticket without being familiar with your music. Reader: It’s kind of a chicken-or-the-egg thing. Cook: That’s the exact analogy! Because what comes first? Now, there’s the internet, social media, many new ways to find your audience and build a career. It’s a bit confusing for us older guys but I think the new artists HAVE to figure it out whether they want to or not if they want to find some success. It seems like it’s gotten far more complicated to make a living! Reader: Definitely. Obviously you keep up on new music. What have you been listening to recently, as far as new music? Or I guess as far as old music that you’re listening to right now too! Cook: Well, I listen to a lot of stuff. I’m trying to think of what I’ve just downloaded recently…Oh. Chris Squire, one of the founders and the great bass player from Yes, just passed away. So I bought Yes’s Greatest Hits and it’s an incredible album. They had some seriously great songs, great recordings over the years. They’re a very prolific band and I’ve always been a fan but not enough to buy a whole album I guess? So now, there’s this Greatest Hits, a career-spanning compilation through their most successful time on the charts. I like them, I like a lot of jazz rock, jazz fusion. I think there’s a lot of great music made by electric bass players now, like Victor Wooten and Stanley Clarke. Also Tom Petty, the Rolling Stones, Otis Redding. Cook: Yeah, and I also listen to classical music too! I have a very very broad music collection and even though mp3s don’t have the greatest quality, I don’t know that my ears can tell the difference anymore. I love being able to carry it all around on my cell phone and listen to it whenever I have a chance. I travel a lot, of course, so I get a lot of listening in. Oh! And I was also going to tell you, to me my most favorite current stuff is Queens of the Stone Age and Foo Fighters. Reader: I know you’ve mentioned them in other interviews, as well as Them Crooked Vultures. Cook: Well sure! That’s a combination of Zeppelin, the Queens [of the Stone Age] and the Foos [Fighters]! What could be wrong with that? [laughs] I even sometimes listen to The Eagles. Reader: “Even” sometimes The Eagles! You say that like it’s conceding. Cook: Well, you know…there is some great stuff in there. Reader: For sure! So looking back now, what would you say is the biggest lesson you’ve learned musically? Cook: Well…don’t get comfortable. You should never think that you’ve got it figured out, that you’ve got it made, that things won’t change. Because they will. In order to adapt and maintain, you have to be flexible. You have to be prepared to rethink and you have to have an open mind, particularly if it’s something you’re unaware of or it’s something new. Your initial response or reaction may not be the true one, you know? You need to look at everything and respond in a way that shows that you have carefully considered the ramifications of what it means. And in life as well, you know, rash actions and spur-of-the-moment decisions change the plan and emotional responses usually don’t serve you well. You need to calm down or give things a chance to really see what they are rather than react with a filter that you’ve used for everything that’s come before. Just be open to what life brings you and see how you can incorporate that into your own philosophy. Reader: You gotta roll with the punches. Cook: There you go! My wife always says “oh well! It is what it is!” That’s what it is and that probably gives you the best chance to survive just about anything. Grassroots Music Festival is this weekend, July 31-August 2, with Creedence Clearwater Revisited scheduled to play Saturday, August 1 right after Blue Oyster Cult and before Lynyrd Skynyrd.. The festivities will take place at Tom Hanafan River’s Edge Park.Full tickets, one-day passes and any combination of two-day passes are available through Ticketmaster or Grassroots’ website.